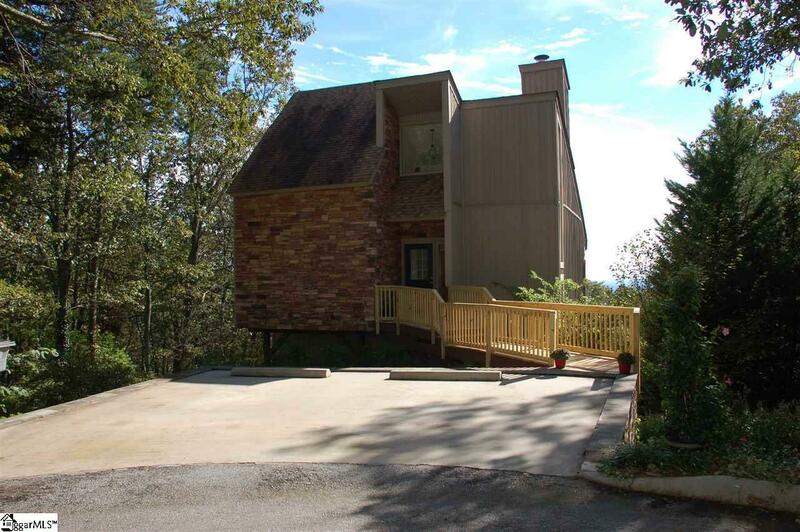 Beautiful contemporary mountain home just minutes from Greenville and Travelers Rest where you have many choices of dining and shopping. As you walk toward the home, take a moment to enjoy the sound of the waterfall as it flows into the Koi pond where you will can relax and watch the fish, then walk into your own private retreat and see absolutely gorgeous mountain views from almost every living area of the home. Entertain your guests on the deck off the dining room where you will enjoy the beauty of the sun setting. Master bedroom on upper level makes for a very private living area with its own deck and absolutely gorgeous views. Listing provided courtesy of Dianne Chalmers of Century 21 Blackwell & Co. Rea.